Our badges can be created using company logos, business details or custom artwork. The standard badge specification is 75 x 25 mm (up to 3 lines) with rounded corners. Choose from a variety of different colours and materials to create a badge that fits your needs. Badges are supplied with a pin fastener as standard, but can alternatively be supplied with a magnetic clip. You can use our design wizard to customise your badge by either creating the layout online or uploading a design file. 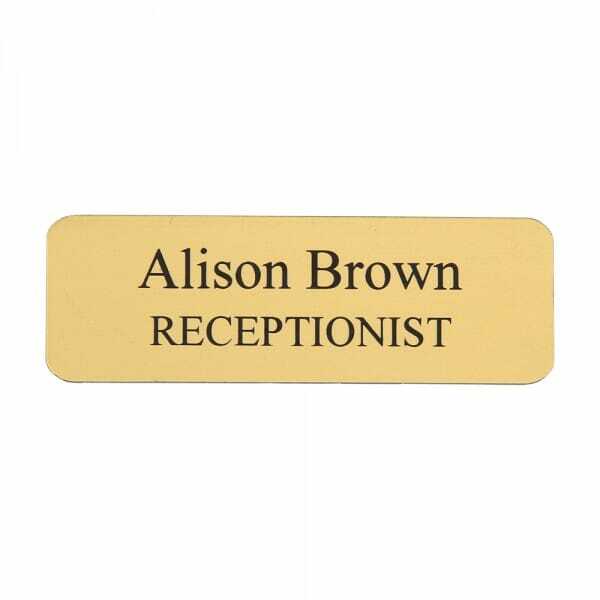 Customer evaluation for "Personalised Name Badge - engraved text - 75 x 25 mm"